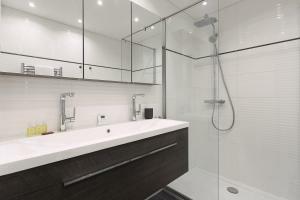 Modern furniture, just renovated, very clean. Location very close to centre. Läget! 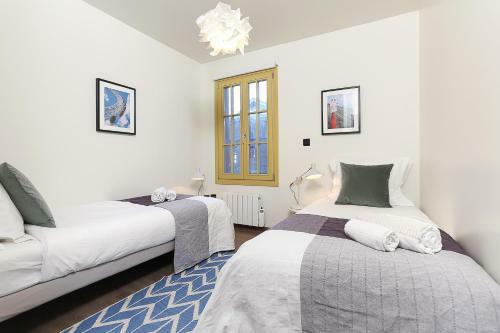 Modern och fräsch lägenhet som är klart större än de flesta i Chamonix. 직원의 친절함과 독립된 공간으로 인한 편리함, 안락항 특히 거실이 넓고 주방시설이 훌륭함. 화장실 내에 빨래 건조시설은 너무나 유용하였습니다. 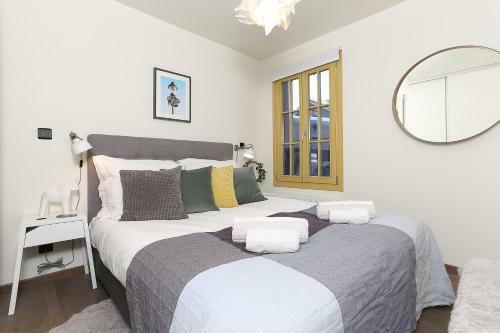 Logement entièrement rénové, bien équipé en vaisselle, linge de lit, serviettes. Bonne literie. Accueil très sympathique par Andy a une heure tardive pour la remise des clefs. Emplacement proche du centre ville, parking sécurisé avec barrière électrique, balcon... bref très très bien ! Idéal pour un séjour en famille, entre amis ou même comme moi pour le travail. Lock in a great price for Chalet Suisse - The Library – rated 9.2 by recent guests! 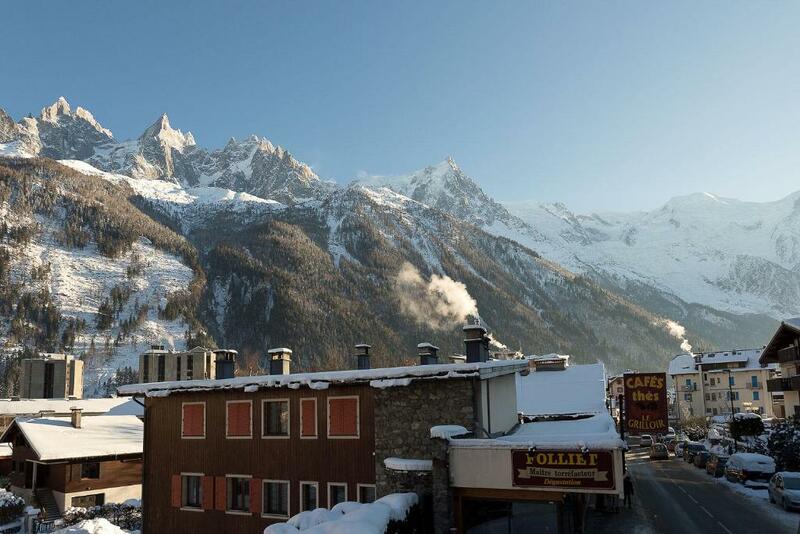 Chalet Suisse - The Library is located in the Chamonix City Centre district of Chamonix, a 7-minute walk from Chamonix Ski School and 0.6 miles from Chamonix - Planpraz Ski Lift. 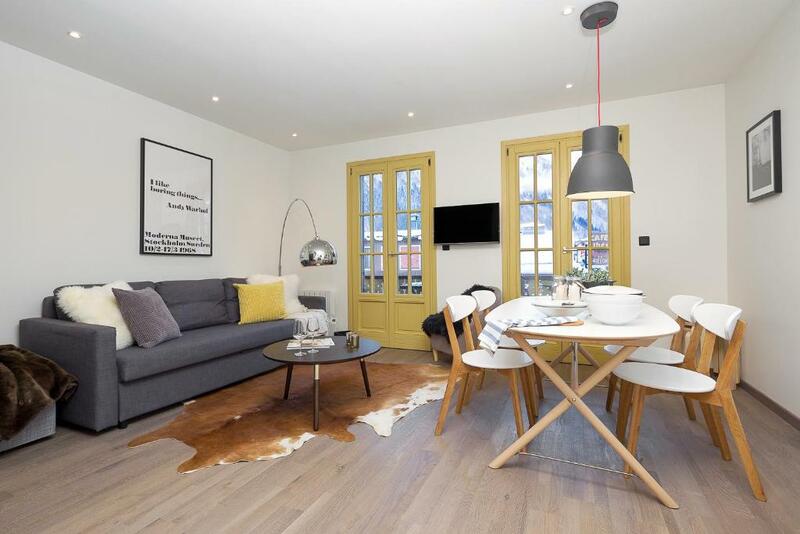 This apartment is 1.4 miles from Les Praz - La Flégère Ski Lift and 6 miles from The Step Into the Void. The apartment includes 2 bedrooms, a kitchen with a dishwasher and an oven, as well as an electric tea pot. Popular points of interest near the apartment include Richard Bozon Sports Complex, TK Savoy and TK de Samaran. 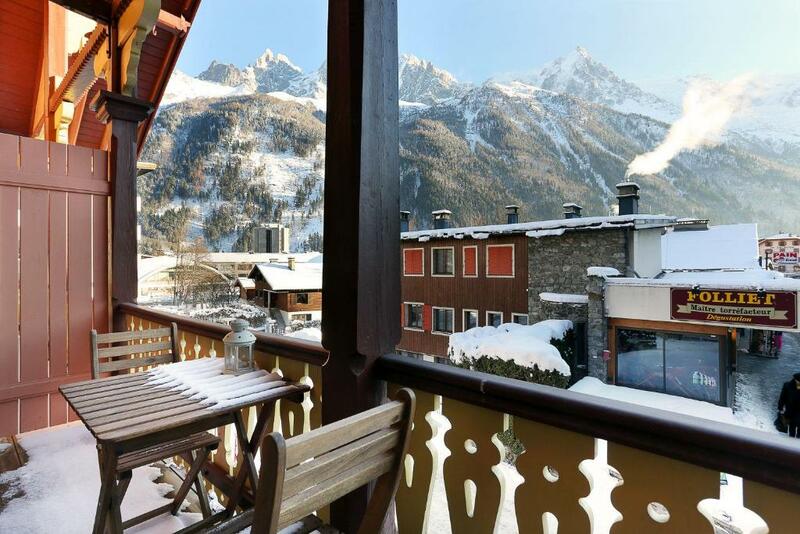 뀐 Located in the top-rated area in Chamonix, this property has an excellent location score of 9.4! When would you like to stay at Chalet Suisse - The Library? 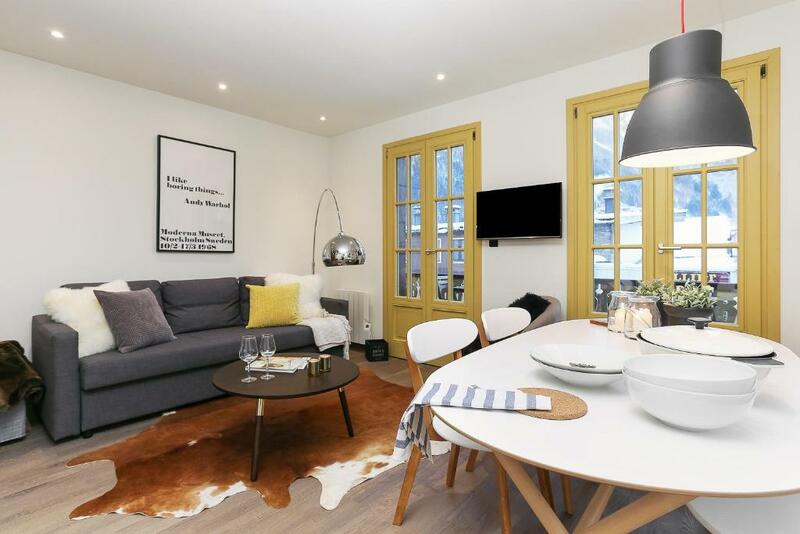 Apartment Suisse - The Library is a beautiful and stylish apartment in a recently refurbished historic Chamonix property. 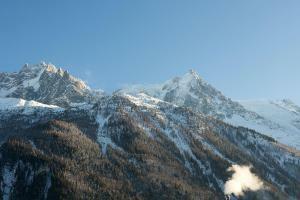 The Alpes Travel team have been in Chamonix for many years, and manage a number of properties throughout the valley. Chamonix is home to epic skiing and mountaineering and is the adventure sports capital of Europe. It's also a thriving mountain town with fantastic restaurants, bars and shops and a truly international feel. House Rules Chalet Suisse - The Library takes special requests – add in the next step! Chalet Suisse - The Library accepts these cards and reserves the right to temporarily hold an amount prior to arrival. Renovation not complete (entry door lock blocking, toilet seat loose, no TV antenna cable = no reception). Bed mattress saggy. Lots of noise also at night due to location directly on a busy street. Street noise with the windows open. Great view! Lots of room; good location.